Giving a charitable gift in honor of a friend or relative is a unique way to both help others and spread Christmas cheer. There are many different gifts that support a cause: you can buy mosquito nets, fund a micro loan, or even give a family a goat. With Lifewater, you can give the gift of clean water. Clean water is the cornerstone to a healthy life. And yet, more than 100 million families around the world are trapped in a cycle of poverty and disease because they don’t have access to safe water. In fact, one child dies every 60 seconds from a water-borne illness. It’s entirely preventable, and together we can save lives. Our 2017 Season of Giving is called “Blessed.” We know that we have been abundantly blessed by God. What if we used our blessings to bless others this Christmas season? On our Blessed “Season of Giving” page you’ll find unique gifts that support the cause of clean water, improved health and bringing the hope of the Gospel to some of the most hard-to-reach places in the world. You can even have your gift matched dollar for dollar when you give to meet a pressing need! Lifewater uses appropriate technology to build lasting water sources in rural communities throughout East Africa and Southeast Asia. It might be a new drilled well or a renovated spring cap, depending on what’s best. 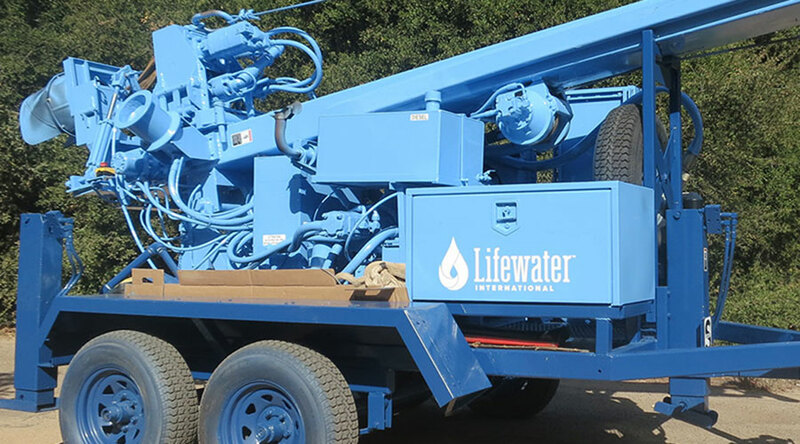 Drill a Deep Well in Ethiopia: The first-ever Lifewater drill rig begins work in the field next year! Our custom-built drill rig will bring deep wells to remote, hillside regions of Ethiopia previously unreachable by drilling companies. You can help us drill our first deep well for the people of Bonbe, a rural village in Bensa, Ethiopia. Sponsor a Village Water Project in Uganda: Bujjejje is a village in Kaliro, a rural district in Uganda that hasn’t received much help from the outside world. Poor water access, sanitation and hygiene keeps families trapped in a cycle of poverty. Your gift will bring clean water (we will repair two broken water sources), plus hygiene and sanitation training the people of Bujjejje need to live full, healthy lives. Sanitation and hygiene are just as important and safe water. Lifewater village water projects like the one for Bujjejje go beyond providing a clean water source to help families transform unhealthy behaviors that have persisted for generations. Give a Toilet in Cambodia: Without a safe bathroom, families in Chub Romdeng, a remote village in Cambodia, have no choice but to go out in the open, spreading illness and disease. Your gift of a toilet can change that. You can bless the poorest of the poor by covering construction costs as they contribute labor and materials. Build a School Bathroom in Uganda: 3 out of 4 girls won’t finish school in rural Africa. One of the biggest reasons? They don’t have a safe, private place to go to the bathroom. Help boys and girls at Bulike Primary in Uganda stay in school, further their education, and break the cycle of poverty. Clean water opens doors for the Gospel. You can help share the Good News with someone who has never heard Jesus loves them. 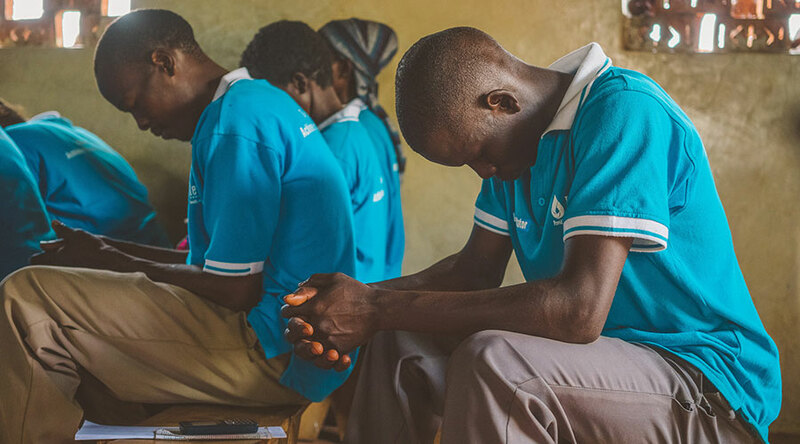 Equip New Believers with Bibles: Your gift will equip church planters in Ethiopia, Cambodia and Uganda with Bibles and localized discipleship materials to reach their village. Our Discovery Bible Studies are created specifically to reach oral cultures in rural regions. In addition to the option to choose a specific project, you can give to meet a pressing need. Right now, your gift to meet a pressing need will be matched dollar for dollar by the First Fruit Foundation, an organization passionate about serving the world’s poor. You can can double your impact! Matching is limited to the first $150,000. Visit our Blessed Season of Giving page to learn more.